While I was in the Midwest chilling with my family over the Holidays, I didn't have access to my usual supplies. 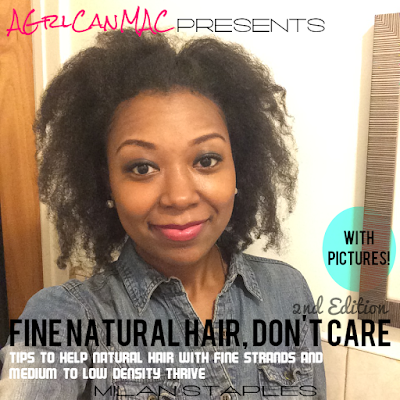 I didn't bring a lot of my hair stuff b/c I just didn't feel like bringing every thing. Well, in that effort, I forgot my shea frosting! Soooo, I had a make a small batch for the duration of my stay. I used some of my mom's (unrefined) raw shea butter and mixed it with coconut oil and EVOO (mainly more EVOO). Since it was a small amount I was making, I heated the shea butter a lil in the microwave to soften it and then stirred in the oils. To get it to cool down and solidify faster, I put it in the fridge for a bit then stirred it some more. It wasn't creamy enough so I added more EVOO till I got the consistency I desired. I didn't use exact measurements so just eye ball it. Obviously, you want more shea butter than oil so if it's a liquid after cooling off, just add more shea butter till it gets creamy. Easy peasy. 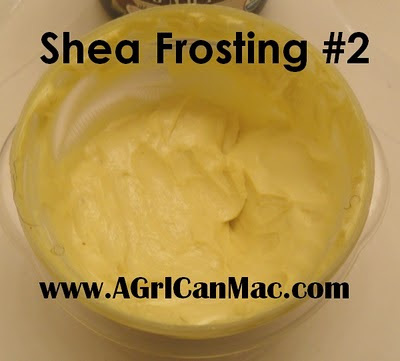 This is an even simpler recipe for a shea frosting than my original one. (To see my other mixes, click on the "Mixtress Chronicles" tag below) This is a great introduction for the novice mixtress. :D I have one last shea frosting mixture up my sleeves so I'll post on that one once it's been created. I am on vacay in Spain and have done the same! the olive oil here is on point! Ooo Spain? Nice! I'll bet the olive oil there is bomb. Enjoy that vacay! Wow, this is a great alternative to making a shea butter mix. I've been looking up recipes and they all required a food processor. Being that I do not have a food processor(yet), I will definitely go ahead and make a shea butter mix. Thanks! You can use a hand mixer since you don't have a food processor. I usually use one to mix my shea butter mixes but b/c I was out of town, I had to make the mix this way. Both achieve good results. Ok, thanks! I'm definitely going to try it out. I will be sure to post it on my blog when I finish.